After we checked into the B&B, we decided to go sightseeing since there was still ample daylight left. 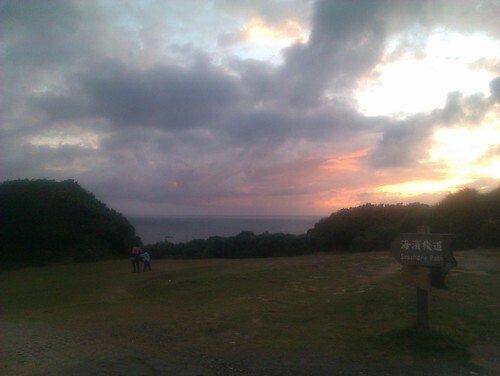 So another short drive of 10 mins (about 8km) further South, we reached the Eluanbi Lighthouse. 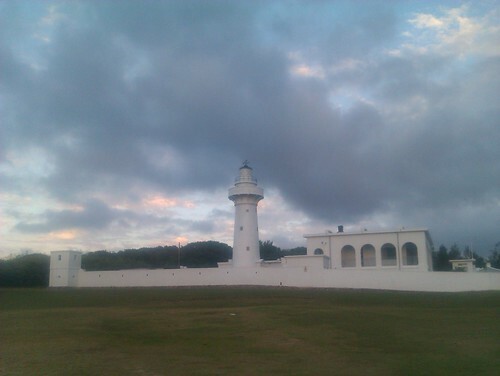 Eluanbi Lighthouse (鵝鑾鼻燈塔) is a definite destination to go if you are visiting the Kenting area. The special thing about this 130+ year-old lighthouse is its geographical significance, on top of the fact that it is also the most powerful lighthouse in Taiwan as far as luminosity is concerned.. 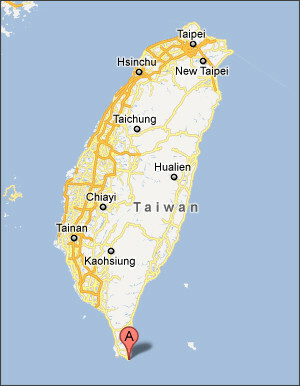 The Eluanbi Lighthouse, built during the Qing Dynasty, is the southern-most landmark of the Taiwan island (see left). As stand due-south, you see nothing but ocean, yet you know that at the other end of this body of water is land, otherwise known as the Philippines.